Chances are that you’re like many men who struggle to find time to add spiritual content to their lives outside of Sunday Mass. We know we should make the time, but we don’t or can’t. Worry not, for all’s not lost. One of the most convenient ways to nourish our spiritual lives out on the road and in the hustle and bustle of life is to tune in to Catholic radio and podcasts, and today, we’re featuring just that! 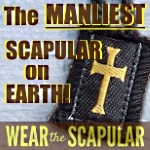 If you’re a man and you need more holiness because you want more manliness, then look no further than The Catholic Man Show! It’s a show for Catholic men, which is very hard to find! But even though the title of the show says it all, we couldn’t help but want to delve a little bit further and interview the hosts and creators of the show, Adam Minihan and David Niles. So what you really have here are two young married men with young families, who love their faith and gentlemanly things! Sometime early into 2016, Adam and Dave launched their first episode of The Catholic Man Show. However, their entry into the Catholic radio world occurred several years before the release of the show. According to Dave, their opportunity came randomly and rather unexpectedly. Adam promptly added, “I think the reason why Jeff sent us the email to start a Catholic radio station is because he knew we were naive would say yes! We didn’t know what we were getting into or where it would take us. In actuality, we still don’t. We are just happy to be a part of it.” And thanks to their naivety, and perhaps generosity, their home of Tulsa, Oklahoma is blessed with Catholic Radio! Fast forward a couple years. After analyzing data on listener demographics for their local station, the two realized that the vast majority of the listeners were female. And, when a need is recognized, a gentleman responds. 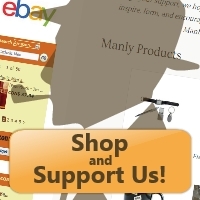 Naturally, the idea of The Catholic Man Show was born! All joking aside, think of what manliness is. It only applies to men and is an attribute attainable solely by men. As men, we are always called by Christ to a higher standard of manliness. Finally, our manliness is always something that needs perfecting. The Catholic Man Show is playing a major part in the restoration of Catholic Manhood in our society. For those of you who have not yet listened to an episode of The Catholic Man Show, you will quickly come to identify its unique and brilliant format. They do three things on every weekly episode: (1) Open, review, and enjoy a manly beverage, (2) Highlight and discuss a man gear, and (3) Engage in a manly discussion on a manly topic, touted to be one of the most manly discussions you’ll ever hear in your life! Not only that, but they have a sweet slogan and the most rockin intro/outro theme in the history of radio! “We don’t do any editing for our show, making it very raw and conversational. We hit the record button and go, which I think makes it relatable to the listeners,” notes Adam. Now, what about the possibility of running out of manly beverages to enjoy? So far, their scope of beverage sampling has been diverse and showing no signs of exhaustion yet. Of course, the pleasure of a manly beverage is always paired with the manly virtue of moderation, as the two hosts are diligent to remind us. 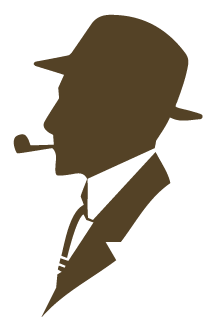 You may be thinking that men who have the gall to create The Catholic Man Show must be Catholic men beyond precedent. You may accuse our hosts as living saints who set the bar impossibly high for us ordinary men. Dave and Adam are, in fact, ordinary men. But the two share the following about what every Catholic man needs right now: (1) Prayer, (2) the Sacraments, (3) A sense of his vocation – “Without this he is lost,” Dave says, “Because he does not know where to focus his energies and his service”, (4) Turning the screens off – you know, those backlit pixelated rectangles on your phones, televisions, and computers, (5) followed by prayer. Without a doubt, you certainly don’t want to miss an episode of The Catholic Man Show! You can find them on Facebook, go to their website, or you can even subscribe to their podcast on iTunes or catch all of their past episodes here! 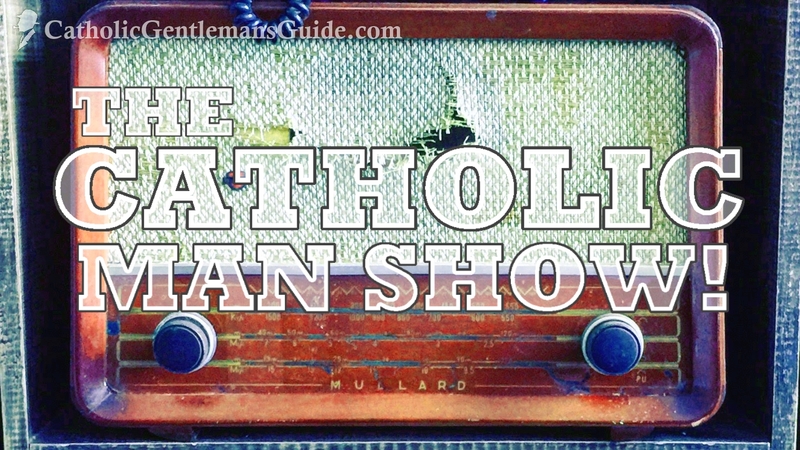 Radio is a fantastic medium for evangelization and we applaud the efforts of The Catholic Man Show in its task of inspiring Catholic Masculinity! Please check them out and do your part to spread the word and share this show with all the gentlemen you know on Facebook, Twitter, and in real life too: Just grab the phones of all your fellows and subscribe them to the podcast without delay! A special thanks to Adam and Dave for taking the time to chat with us! May the Lord bless you and the spread of the important message of your ministry. We’re glad you’re on the Lord’s team! You’re undoubtedly on the winning side! Here at Catholic Gentleman’s Guide, we raise our glass to you! #CheersToJesus!